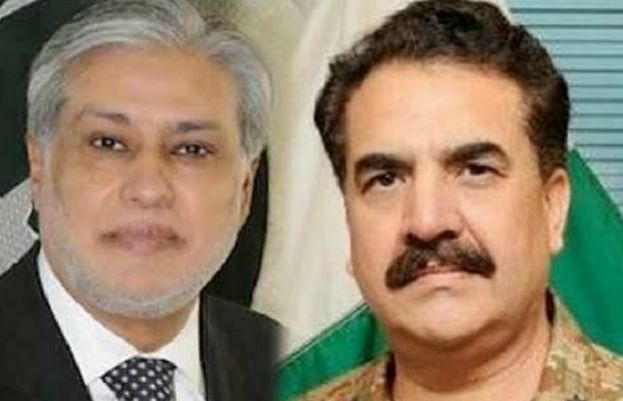 ISLAMABAD – (92 News) Finance Minister Ishaq Dar met with Chief of Army Staff General Raheel Sharif in GHQ on Thursday. According to a statement issued by the ISPR, General Sharif discussed timely return of Internally Displaced Persons (IDPs) of Federally Administered Tribal Areas (FATA). The Army Chief and Finance Minister also discussed completion of the ongoing development projects in FATA.